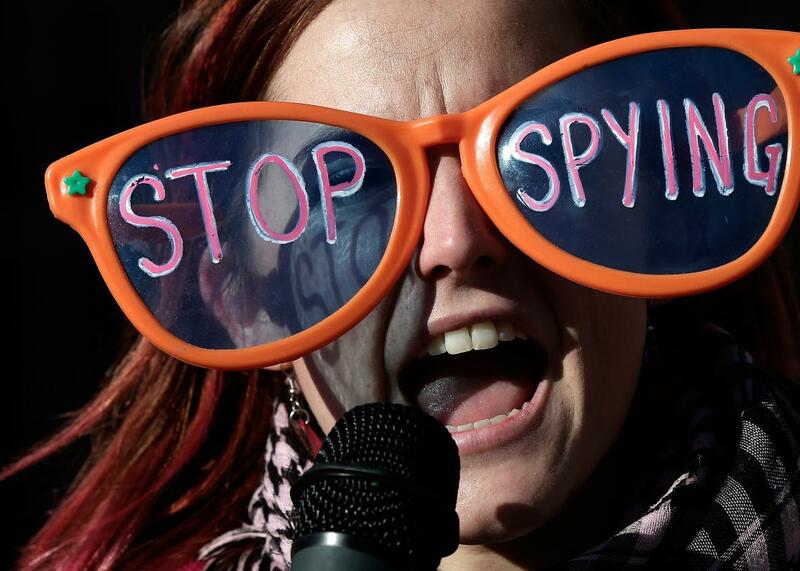 DC appeals court reverses injunction on NSA bulk phone record collection. Protester Alli McCracken outside the Justice Department on Jan. 17, 2014. On Friday, a Washington, D.C., appeals court reversed a lower court’s decision that the National Security Agency couldn’t conduct bulk phone-record collection. The panel of three judges said that plaintiff Larry Klayman (a conservative activist) hadn’t proved that his personal phone calls had been collected by the NSA’s wide-cast net and therefore lacked standing. But privacy advocates don’t need to panic. Even beyond these legal battles, privacy advocates are also concerned about how much surveillance the NSA and other government intelligence bodies can still do using the existing troves of data, malware campaigns, and overseas channels they have access to.